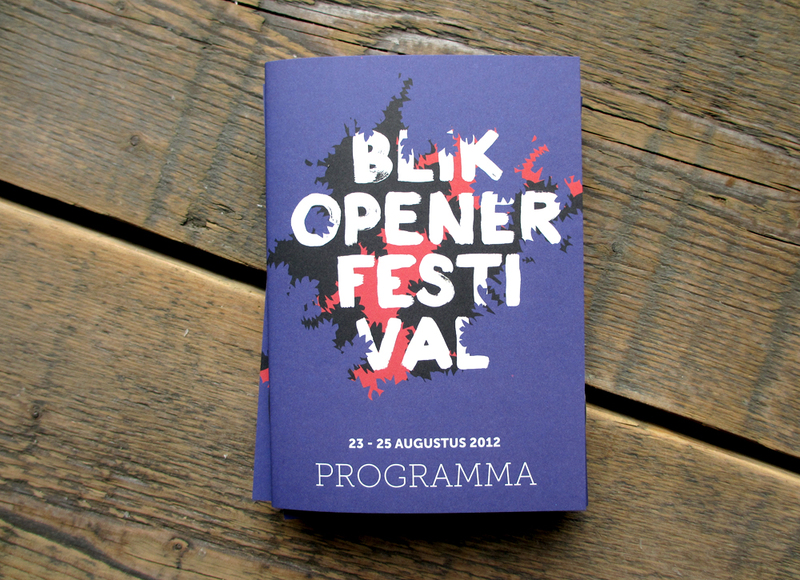 Blikopener Festival is an experimental street theater festival in the old town of Delft. 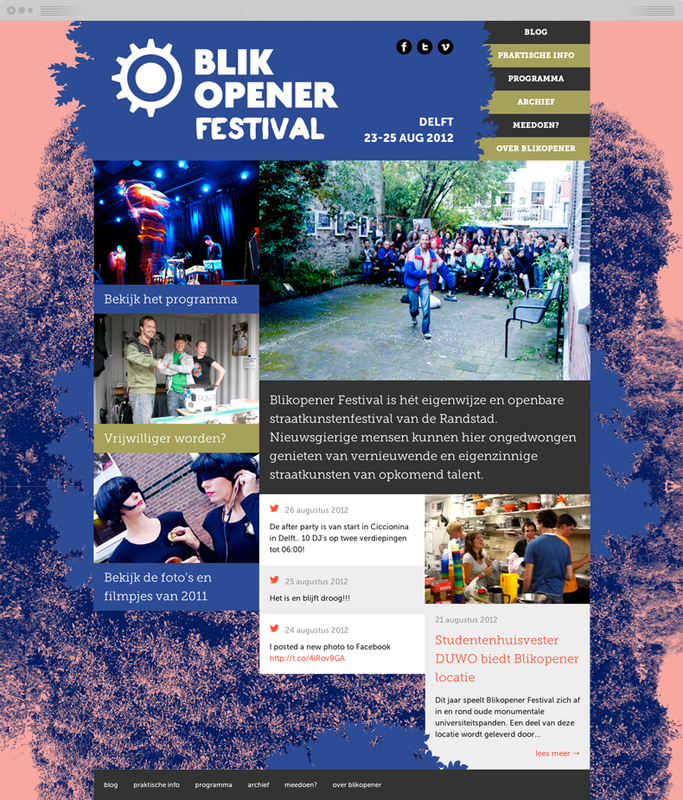 Blikopener provides a platform for upcoming artists in the field of street theater, dance, music, installation art, performances, movies and more. 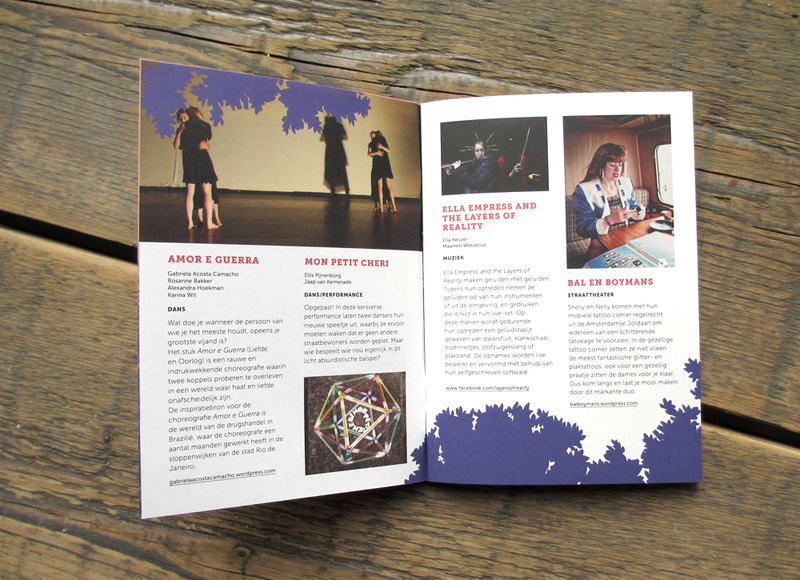 I’ve been taking care of (part of) the communication for the festival for the last 3 years. 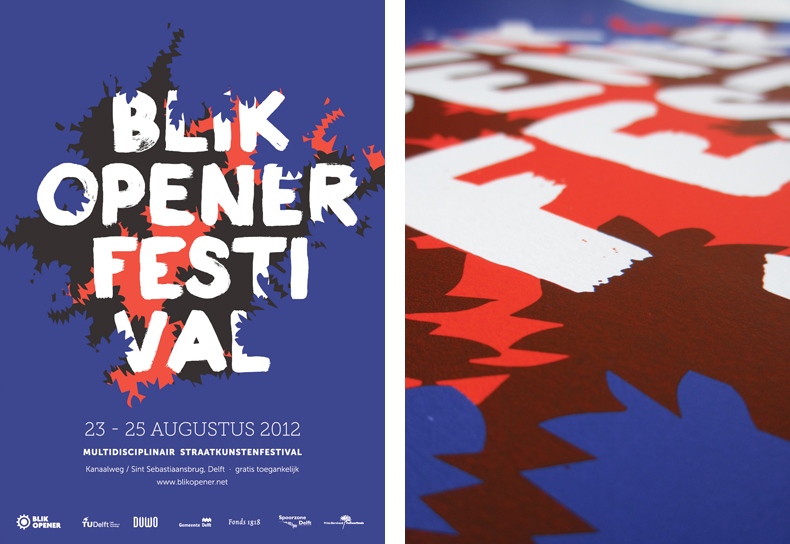 I created a logo, yearly websites, posters, several short videos and printed programs to promote the festival. 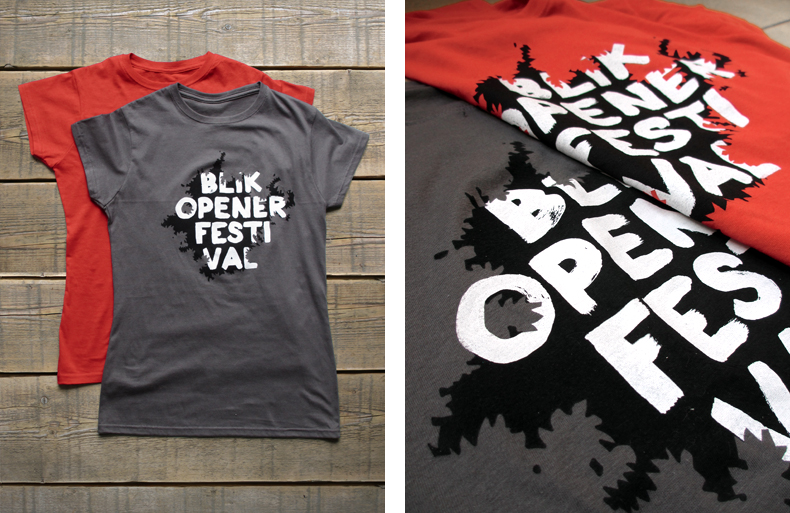 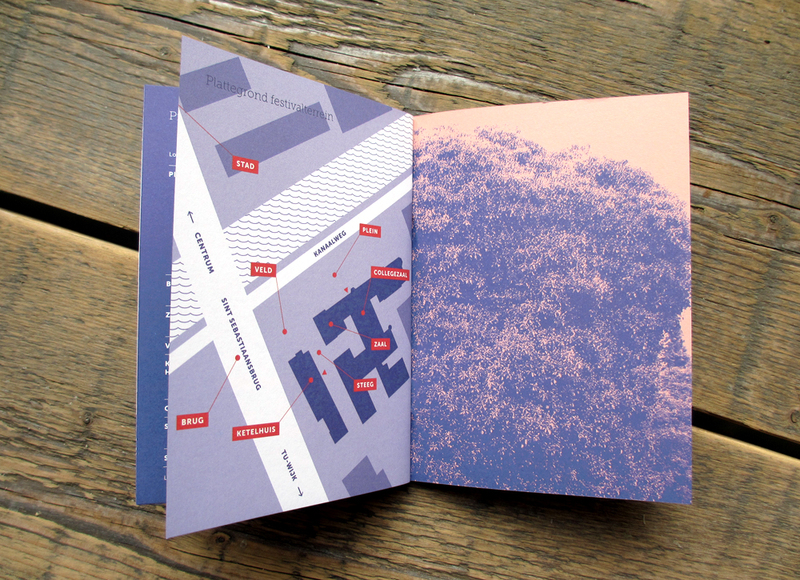 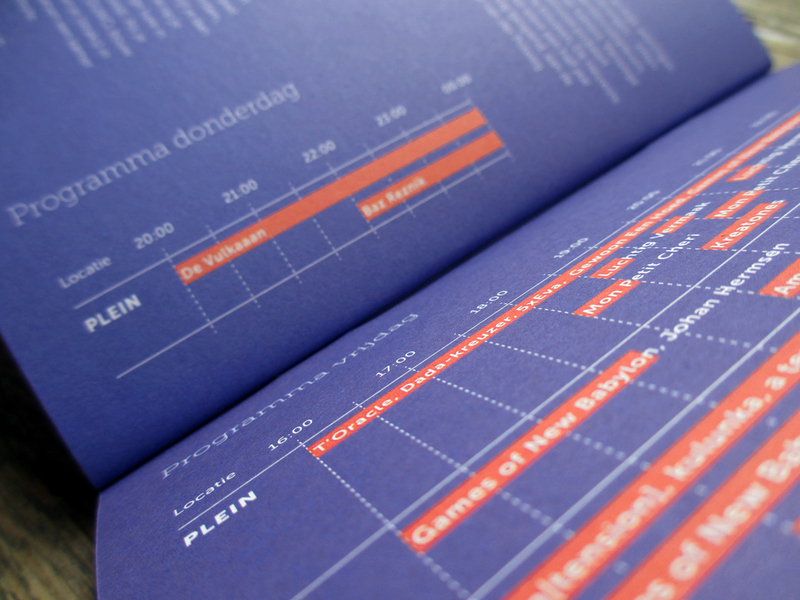 The designs reflect the laid-back and free spirited character of Blikopener.